Some concerts you simply must see, and when it’s one of New Zealand’s most revered musicians performing at one of New Zealand’s finest concert venues it simply cannot be missed. 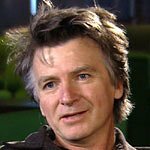 Playing songs from his entire career retrospective, Neil Finn will take the stage at the Auckland Town Hall on Saturday 18th July, 2015 for one truly special concert. Neil is the patron of Medicine Mondiale, who have developed the Mondiale Lifepod Incubator. Each incubator costs only $2,000 and gives hundreds of babies in the developing world the precious gift of life. All of Neil’s profits from the show will go directly to funding the manufacturing of Lifepod Incubators. The set-list will range right across Finn’s extensive repertoire as he dips in and out of a vast catalogue that spans compositions he’s made famous with Split Enz, Crowded House, The Finn Brothers and through the course of his three solo albums, playing a mix of acoustic and electric, guitar and piano, as well as being joined on some songs by a full string section, arranged by renowned kiwi composer, Victoria Kelly. Tickets are on sale at 12.00pm Friday 12th June from Ticketmaster.